Get notified when Daytona 500 tickets are available! The Daytona 500 is a popular NASCAR Sprint Cup event held at the Daytona Superspeedway in Florida. 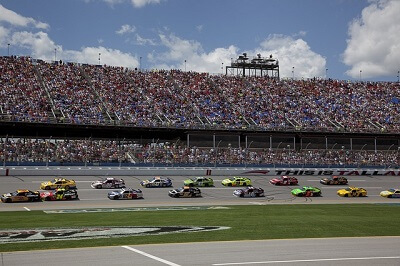 It is one of the most looked forward to races all year, and is one of the oldest NASCAR races, having started in 1959 when the venue opened. This 500 mile race is one of two races held at in Daytona Beach and it is 200 laps of high-octane excitement and is so highly regarded because it offers the largest purse as well as points towards the Sprint Cup Championship. Get your Daytona 500 tickets now and watch drivers race at breakneck speeds to come out on top in the Daytona 500!